In case you've been living under a rock and not checking up on the blog (in which case, come outta there! 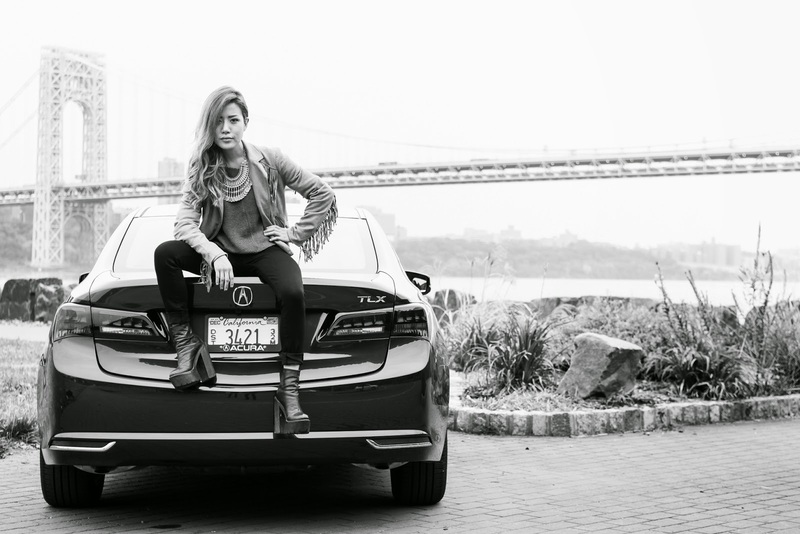 ), I recently went to NYC and experienced what thrills me with Acura. I've curated a super awesome Acura Thrillkits prize package based on my experience for one lucky winner...will it be you?? It contains fashion and travel necessities like the DSLR I use, a GoPro, a luggage set, a fashion emergency kit, an Amazon gift card to shop for whatever you wish, and more. I am actually going to be insanely jealous of whoever wins it. There's no purchase necessary to enter so hop on that quick before the sweepstakes ends in a matter of days! Enter HERE. *NO PURCHASE NECESSARY. Void where prohibited. The Acura TLX “It’s That Kind of Thrill” Sweepstakes is sponsored by American Honda Motor Co., Inc., 1919 Torrance Blvd., Torrance, California 90501. Open to legal residents of 50 U.S. & DC, 21 & older. Begins 12:00 am PT on 10/02/14 and ends 11:59 pm PT on 11/02/14. For Official Rules, visit https://acura.com/tlxthrillkits/officialrules.